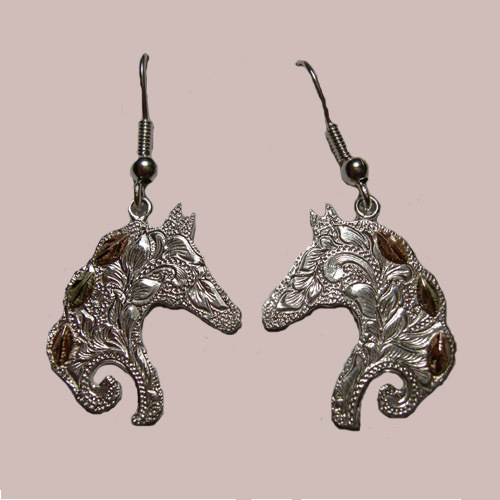 Desc: Landstrom's Black Hills Gold Sterling Silver horsehead dangle earrings. 10 karat rose and green gold leaves are in the mane of the horseheads. The horseheads are carved in leafy patterns. These earrings are made in the United States of America.